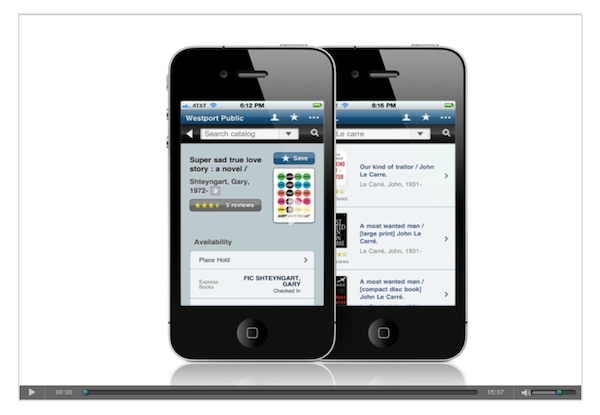 I’ve just made a screencast of Library Anywhere, our mobile product for libraries. What it does, how it works, even a glimpse at the administrative backend! Click the image below to watch. We’ve also started doing weekly webinars to demo both Library Anywhere and all the LibraryThing for Libraries enhancements for your library catalog (tags, similar books, other editions, series, awards, shelf browse, reviews, and Lexile measures)! They’re scheduled for every Tuesday afternoon at 2pm EST. Sign up for one today and I’ll tell you everything you ever wanted to know, and more, I promise. Click here to register. On the WebEx registration page, under Attend a Meeting click “Browse Meetings” and then “Monthly” to register for scheduled webinars. There will be a webinar* on LibraryThing for Libraries (LTFL) from Wisconsin Library Services (WiLS). Jenny Schmidt (SWITCH consortium) and Ingrid Lebolt (Arlington Heights Memorial Library) will be explaining “how LTFL works and detail the process of implementing LTFL features into your library’s catalog (Web Opac).” WiLS hosts a series of webinars for libraries. Note: this is one in a series of webinars, all which cost smallish amounts of money. Both speakers work at libraries using LTFL (see the whole list here). I have a long-standing love for the Arlington Heights library. They were an early adopter of LTFL, and of good things in general. Here’s their LibraryThing Local page, and a picture of me standing outside their building (to corroborate my story). The far-away half of my family lived there, and I grew up going to AHML when I’d visit.